100 years ago the First World War was still raging with casualties and deaths now into the millions. 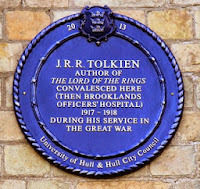 For Tolkien trench fever had seen to his transportation back to England and by the 8th of November 1916 he was back in Birmingham. By December he was well enough to leave hospital and initially convalesced at Great Haywood. 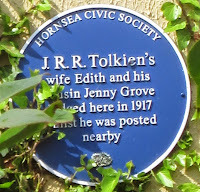 Towards the end of this period of recovery he was taken ill again and was sent to a sanatorium in Harrogate. 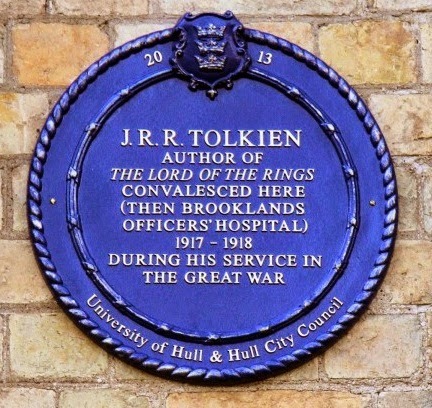 and re-train in East Yorkshire These events are now marked with the plaques in Hornsea and Hull. 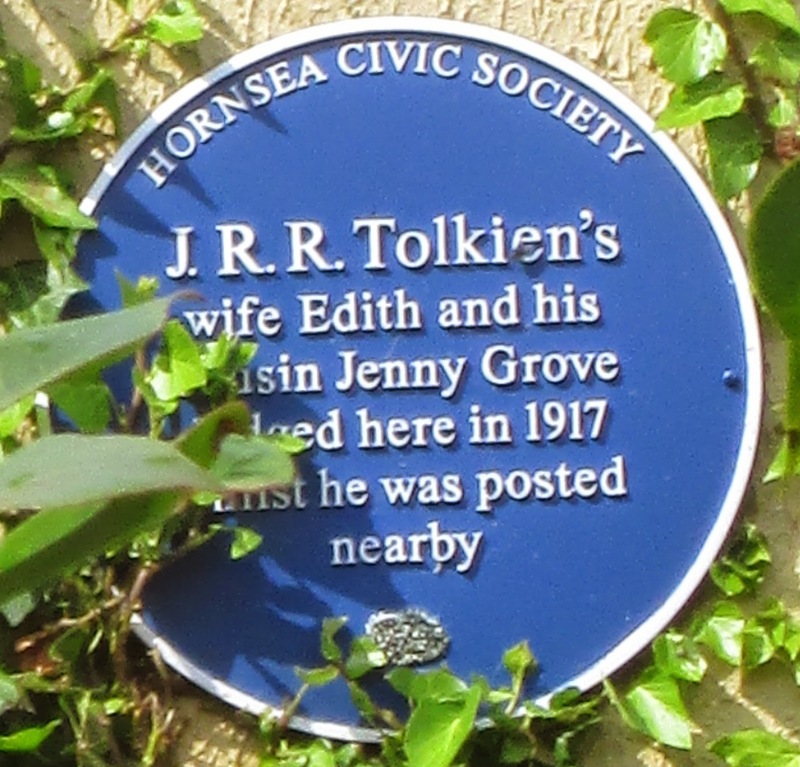 2017 is also the centenary year of John Ronald and Edith Tolkien's walk near Roos in East Yorkshire and the 'hemlock glade' that became woven into the evolving fabric of his legendarium as the story of Beren and Luthien. Plans are on-going for the 2018 Seminar which again will be held in Leeds.